SUBHEAD: The continuing nightmare of the triple core melt-though at Fukushima Daiichi will go on past your lifetime. Image above: The deactivated and soon to be decommissioned and dismantled San Onofre Nuclear Power Plant in San Diego, California. Oh my god it's right on the beach! People surf and fish on this beach. What were they thinking? From (http://audio.californiareport.org/archive/R201310090850/b). Two days ago was the 4th anniversary of the Tohoko Tsunami that decimated Japan. No. It is not over and won't be in your lifetime. The never ending nightmare of the Fukushima Daiichi Nuclear Power Station triple core melt-though will go on past your lifetime. The Tokyo Electric Power Company (TEPCO) have not even found the cores of the three reactors that were online when hit by the earthquake and subsequent tsunami. The cores melted down in part because the back-up generator failed. They were in the basement of the reactor buildings that were flooded by the tsunami. On top of that the primary water pumps at the ocean edge of the site that cooled the cores were critically damaged by the incoming waves and moving debris. Today there is record amounts of radioactive water flowing into the Pacific Ocean from the site and a 300% rise in childhood thyroid cancers in the area around the Fukushima Daiichi site. This informs us of something important. Fail-Safe engineering methods are not sufficient to protect us from the dangers of nuclear power. It is simply too demonic a force for monkeys like ourselves to manage. So let the decommissioning begin. The Fukushima catastrophe four years ago today was no natural disaster, writes Arnie Gundersen. Operator TEPCO and nuclear regulators were well aware of the danger of tsunamis, but put money before safety. Nuclear power remains the only energy source that can destroy a country overnight - and it's time to ditch it! Four years have passed since the March 11 tragic triple meltdowns began at Fukushima Daiichi. There is no end in sight. Let's be clear, the disaster at Fukushima Daiichi was manmade. Tokyo Electric (TEPCO) and indeed the entire nuclear industry worldwide act as if they are the victims of a natural disaster, but in fact the nuclear industry is the perpetrator of this travesty. When the American nuclear companies, General Electric and Ebasco, built Fukushima Daiichi for TEPCO, they knew that huge tsunamis were a real risk. Instead of designing for the worst imaginable consequences, which would make nuclear power unaffordable, the industry chose instead to save money, allowing economics to trump safety. The continuing problems at Fukushima Daiichi during the past four years stem from those skewed priorities. Tokyo Electric, the government regulators in Japan, and the worldwide nuclear industry grossly underestimated the initial radioactive releases, underestimated the magnitude of the disaster, and underestimated the consequences of not taking action. The Japanese people will pay the price for decades to come. Protecting people? Or protecting the nuclear industry? Is Tokyo Electric or the Japanese government incompetent? I don't think so. As I look back at the last four years, I think that TEPCO, Japanese regulators, and worldwide regulatory agencies wanted nuclear power to succeed so badly that they focused on saving Tokyo Electric and forgot about the people they were created to serve. At each nuclear catastrophe: Three Mile Island, Chernobyl, and again at Fukushima Daiichi, the companies, governments, and agencies responding to these disasters were not working to protect people, but worked instead to protect the ongoing operation and potential future of nuclear power. The mishandling of this disaster has shown us that emergency response must be directed by organizations that put people first, not agencies that have a vested interest in perpetuating nuclear power, banking, and industrial interests. Why have the nuclear industry, its regulators, and governments worldwide attempted to minimize the devastation created by the obvious collapse of the myth of nuclear safety? The answer is money. Throughout the world, banks and governments are heavily invested in the financial success of the ongoing operation of their nuclear power plants, no matter what health consequences and personal loss is forced upon the people of their nations. Following the Fukushima Daiichi triple meltdown, governments around the world have destroyed their social contracts with their citizens by pressing for costly and risky nuclear power without regard for the health and welfare of generations to come. The social contract between the people in Japan and the Japanese government has certainly been breached, perhaps for decades to come. The same skewed decision-making process that lead to ignoring the tsunami risk at Fukushima Daiichi in 1965 is still being applied to new nuclear construction and old nuclear operation. The old paradigm has not and likely will not change, despite five meltdowns during the last 35 years disproving the myth of nuclear safety. Of all the ways electricity is produced, nuclear technology is the only one that can destroy the fabric of a country overnight. In his memoirs Mikhail Gorbachev states that it was the Chernobyl accident that destroyed the Soviet Union not Perestroika. Five former Japanese Prime Ministers: Kan, Koizumi, Nakazone, Noda, and Hatoyama, who span the spectrum of liberal to conservative, oppose nuclear power. And currently in Europe, former physicist and German Chancellor Angela Merkel is leading her country to be nuclear free by 2022. Where there is a political will, nations can wean themselves from nuclear power without waiting for yet another nuclear disaster to occur. "Considering the risk of losing half our land and evacuating half our population, my conclusion is that not having nuclear power plants is the safest energy policy"
"Nuclear plants are like time bombs," a former prime minister of Japan has declared. Speaking Tuesday, Junichiro Koizumi, who held the office from 2001-2006, said the plants "are never safe" when they are located in a country with earthquakes or active volcanoes, Koydo News reports. Once pro-nuclear, Koizumi changed his stance after the 2011 Fukushima nuclear disaster and has become an outspoken critic of nuclear power, declaring in 2013 that "zero-nuclear policy. . . can be achieved," and that sitting Prime Minister Shinzo Abe "should use the power given to him to do what the majority of the people want"—ditch nuclear power. Another former prime minister, Morihiro Hosokawa, has joined with Koizumi to challenge Abe's pro-nuke stance, and last year the pair launched the Japan Assembly for Nuclear Free Renewable Energy. “We must turn to renewable energy to create a society without fear of radiation contamination," Hosokawa said at the inauguration ceremony, while Koizumi said it was "blatant lie" that nuclear power was safe. Sophia University professor Koichi Nakano told Reuters last year, "What Hosokawa and Koizumi show is that the anti-nuclear hopes are not held just by left-wing radicals but also by a good number of the middle class, including even those who are conservative otherwise." Abe, in contrast, has pushed for the restart of the country's 48 reactors. This week, two more reactors got the OK from the country's nuclear watchdog to restart after meeting new safeguards, but they still face the hurdle of getting local approval. Decommissioning of the idled San Onofre Nuclear Generating Station will cost an estimated $4.4 billion, according to a plan submitted today by majority owner Southern California Edison. The plan, summed up in three documents submitted to the Nuclear Regulatory Commission, envisions major decommissioning work to begin in early 2016. The documents include a decommissioning plan, a cost estimate and how to manage spent fuel. The plan was vetted in a series of public meetings. Another chance for the public to comment on the plan is scheduled for Monday at 4 p.m. at the San Juan Capistrano Community Center. The facility on the northern San Diego County coastline has been inoperative since January 2012, when a small, non-injury leak was discovered in one of the two reactors. The other reactor was shut down for maintenance at the time. Last year, Rosemead-based Edison shelved plans to restart the reactors in favor of retiring the plant in northern San Diego County near Camp Pendleton. The project cost includes physical dismantlement of San Onofre Units 2 and 3 within 20 years, managing and storing the used nuclear fuel until it is accepted by the U.S. Department of Energy, and restoring the site for future use, subject to an easement agreement with the U.S. Navy, which owns the land. 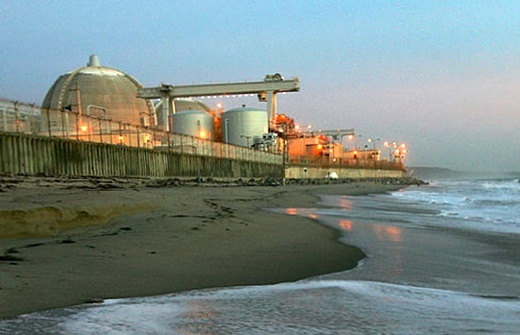 The decommissioning trust funds established by San Onofre’s owners currently total about $4.1 billion, according to Edison. Based on the updated cost estimate, anticipated cost escalation and future trust fund earnings, SCE said it believes the San Onofre decommissioning is fully funded and no further customer contributions will be required at this time. Any unused funds will be returned to customers at the end of decommissioning. San Diego Gas & Electric owns 20 percent of the plant and received one- fifth of its power when it was operating. At the four-year anniversary of the Fukushima disaster, five organizations have issued a message that the only way to avert climate disaster is by embracing a clean energy future. It was March 11, 2011 when the Great East Japan earthquake caused a massive tsunami which triggered a triple meltdown at the Fukushima Daiichi nuclear plant and destroyed thousands of lives and livelihoods. Signs that the disaster is ongoing are clear: nearly a quarter-million Japanese people are still displaced, radioactive trash has piled up in the affected region, radiation levels remain elevated, and clean-up efforts at the plant continue amid leaks. And despite public opposition, Prime Minister Shinzo Abe continues his push to restart nuclear plants. But "there is a better way," the Make Nuclear History website states. The new site, which offers a humorous new video launched by the organizations—Friends of the Earth, Greenpeace, Nuclear Information and Research Service (NIRS), Public Citizen and Sierra Club—adds: "There is a way to power our lives without fossil fuels. There is a solution to climate change without nuclear energy. There is a future where we can solve the climate crisis and power our lives from 100 percent renewable sources and energy efficiency. Now is the time to create our fossil and nuclear-free future." The interactive video shows three energy paths—fossil fuels, nuclear energy and renewable energy—to highlight the problems, like higher carbon footprints and environmental and health impacts, of failing to switch to wind and solar. The projected future under the fossil fuel and nuclear energy scenarios are depicted as apocalyptic. "If the goal is heading off climate change, nuclear power and next generation fossil fuels are just an expensive and dangerous distraction," the video's renewable champion states. The new site also invites viewers to take action on specific campaigns from the groups, like Public Citizen's campaign to urge the NRC to enforce a dozen safety recommendations for nuclear reactors that were issued after the Fukushima disaster; and Sierra Club's campaign to urge members of Congress to phase out nuclear power and commit to 100% renewable energy. "The Fukushima disaster shows us exactly why we cannot and should not try to rely on nuclear energy to solve the climate crisis," said Tim Judson, Executive Director of NIRS. "Japan’s decision to invest in nuclear rather than renewables left the country totally unprepared when calamity struck. Clean, renewable energy sources are abundant, affordable, and ready to go. They can replace nuclear and fossil fuels, which are two sides of the dirty, extreme energy coin." Greenpeace Executive Director Annie Leonard adds: "The Fukushima disaster is a constant reminder that nuclear energy is a dirty and dangerous distraction from real solutions like wind and solar. We should commit to rejecting costly nuclear pipe dreams and supporting the renewable efforts that can help avert our climate crisis." Fukushima Dai'ichi disaster has the potential, in the long run, to end virtually all life on earth. There is a massive media coverup presently going on, with major media organisations hardly reporting anything on the matter, whereas, if people in government were sane, it would top-of-agenda every day in the news reports. Governments do not learn: the UK Government wants to spend 100 billion GBP on Trident renewal. The UK Government has not yet worked out how to use its 290 tonnes of stockpiled P239. Sellafield pumps radioactive waste off into the Irish Sea, and the Russians dispose of their nuclear submarines off the coast of Norway (including reactor cores filled with fuel). When the radiation leaches out, Norwegian salmon will be dangerous to eat. Do not eat tuna fish from the Pacific Ocean; there is bio-accumulation occurring now in food chains of the Pacific Ocean. When future generations of human (if there are any to come) look back on human activities of the past 50 to 60 years, they will be amazed and horrified by our naive disregard for the environment, and our religious worship of the monetary system, where profits are paramount, namely above a healthy environment. Such a blinkered myopic approach of contemporary society is a burden of contemporary times. We need a better monetary system. We need to move away from nuclear power. But how is this possible when IAEA and WHO are in collaboration to push nuclear technology and disregard health effects, even it means destroying all life on earth? People in these organisations are insane and crazy, when considered from the above perspective.